A Saudi man was admitted to a hospital in the Jubal governorate with a serious and strange head injury. The man was admitted with stiletto heel of a woman’s shoe in his head. According to Al Wa’am website, the injury is related to a dispute between the man and his wife. 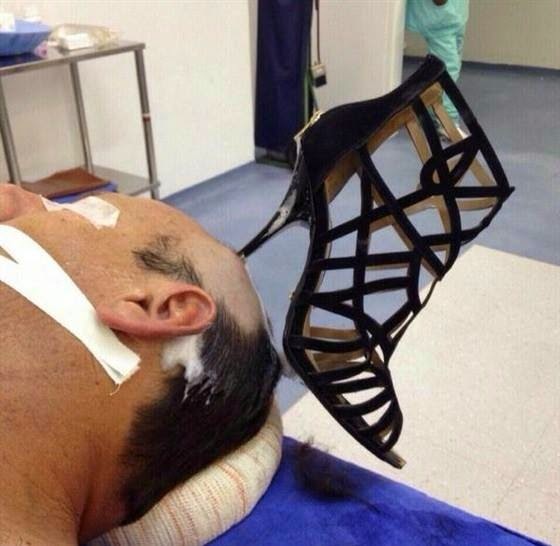 The site reported that the wife beat him with the shoe and the heel got stuck in his head.